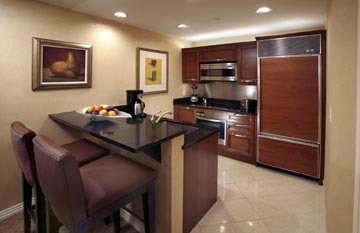 Indulgence begins at The Signature at MGM Grand, a luxury, all-suite condo-hotel located within three distinct towers in a private gated environment. 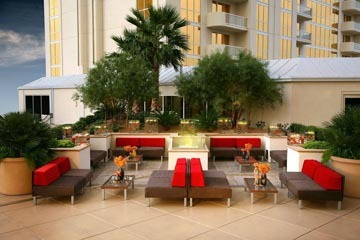 A peaceful, non-gaming retreat, The Signature offers the ultimate in personalized service, just moments away from the excitement of MGM Grand. Tower 1 made its debut in June 2006; Tower 2 opened in December 2006; and Tower 3 opened July 2007. 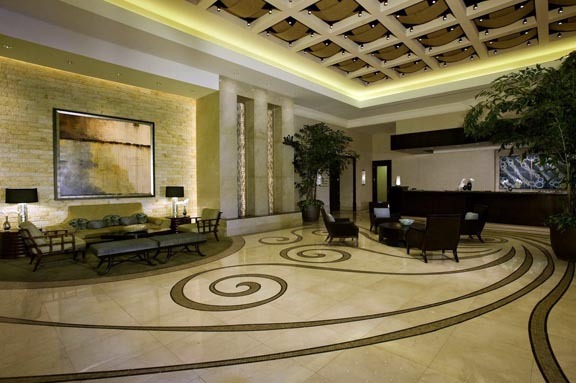 A luxury, all-suite condo-hotel comprised of three 576-suite adjacent towers, The Signature offers luxurious junior, one- and two-bedroom condominium suites with only 16 units per floor. 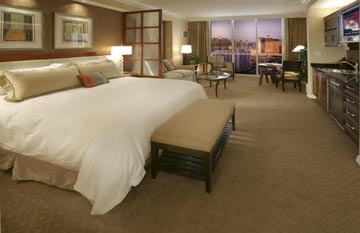 Although connected to MGM Grand, these accommodations are entirely private. The Signature at MGM Grand is non-gaming and non-smoking, two notably rare features for a Las Vegas hotel. The Signature at MGM Grand is the only luxury hotel that is adjacent to a dynamic hotel entertainment complex, yet offering the comfortable counterpoint of an exclusive, serene environment with an emphasis on personal service. No other accommodations in Las Vegas combine the personalized service and intimacy of The Signature at MGM Grand with the excitement and vitality of a “Maximum Vegas” experience. Each custom-furnished condominium suite in The Signature at MGM Grand features a deluxe king-size bed with 300-thread count, Egyptian cotton sheets and a plush down comforter. Marble and granite bathrooms offer dual-sink vanities, Jacuzzi-brand whirlpool tubs and June Jacobs’ spa products. State-of-the-art technology, including high-definition, flat-screen televisions; high-speed, wireless Internet service; DVD/CD players; and iHome clock radios for iPods, are found throughout the luxury suites while top-of-the-line appliance brands such as Sub-Zero, Miele and Bosch are located in each suite’s kitchen or kitchenette. 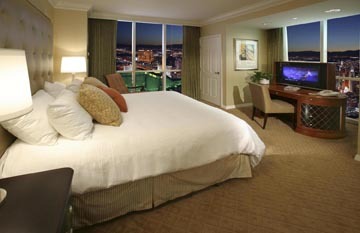 Most suites feature private balconies commanding stunning views of The Strip and surrounding mountain landscape. 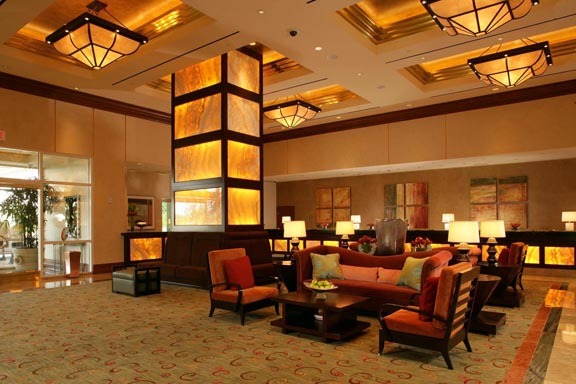 Flawless guest service begins immediately upon arrival through a private gated entrance. The Signature at MGM Grand’s dedicated staff welcome guests as they enter the elegant lobby and provide unparalleled service to ensure guest comfort, security and pampering throughout the stay. 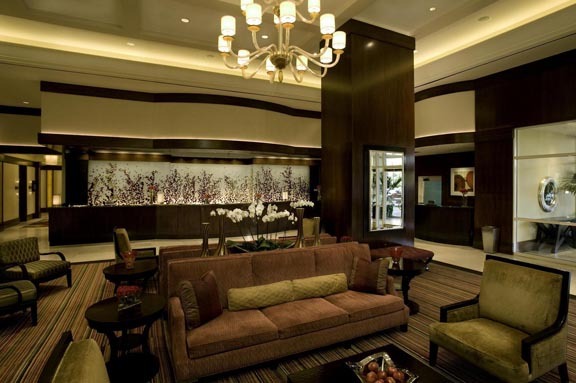 Valet parking, concierge, bell staff services and in-suite dining are provided for guests 24 hours a day. In-suite massage, same-day laundry and dry cleaning services are available upon request. 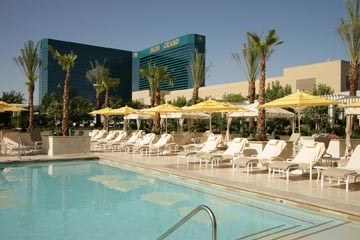 One need not leave The Signature at MGM Grand grounds to enjoy a complete resort experience. In addition to each tower’s private, heated outdoor pools and cabanas, guests are invited to enjoy the Lobby Lounge, retail shopping, fitness centers, Starbucks coffee shop and a delicatessen. Business travelers staying at The Signature at MGM Grand will appreciate the hotel’s Business Center, Executive Board Rooms, flexible meeting space for small groups, fully functional in-suite workspace and high-speed, wireless Internet access. 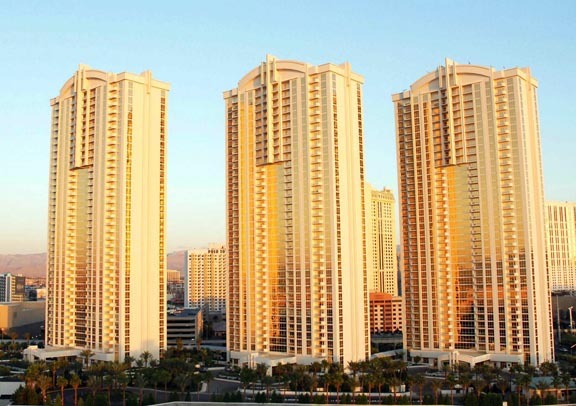 With convenient access to the 380,000-square-foot MGM Grand Conference Center, 90,000-square-foot Marquee Ballroom and the Las Vegas monorail, The Signature is an ideal hotel for those in town for conventions. The Signature at MGM Grand’s close proximity to the heart of MGM Grand allows guests to experience the best of both worlds: a dynamic, energetic “Maximum Vegas” environment and the comfort of The Signature’s luxurious, tranquil ambiance. The specialty restaurants featured at MGM Grand have something to appeal to everyone’s styles, tastes and interests. Whether it’s classic French, a touch of the Bay Area, New York on The Strip or the best of New Orleans, guests of The Signature will revel in the gastronomic options of MGM Grand. MGM Grand also features world-class entertainment including star-studded concerts and events at the MGM Grand Garden Arena, Cirque du Soleil's astonishing performance of KÀ, MGM Grand’s Crazy Horse Paris, the ultra lounge Tabú and the city’s hottest nightclub, Studio 54. Guests of The Signature also enjoy convenient access to the newly opened WET REPUBLIC at MGM Grand, an adults-only ultra pool offering elite VIP service, high-end amenities and renowned entertainers.